Temporarily Out of Stock (details) Order now and we'll deliver when available. 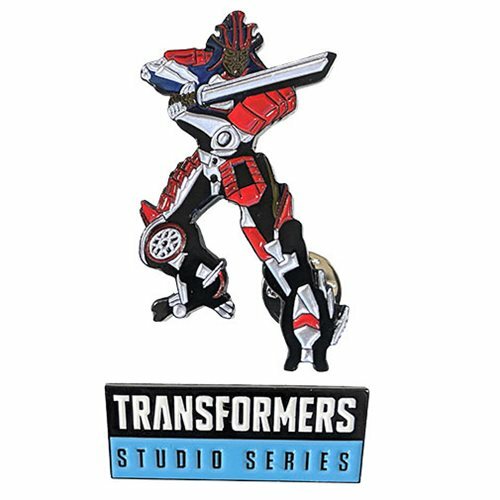 Free Exclusive Hasbro Gift with Purchase! One Per Order, While Supplies Last. 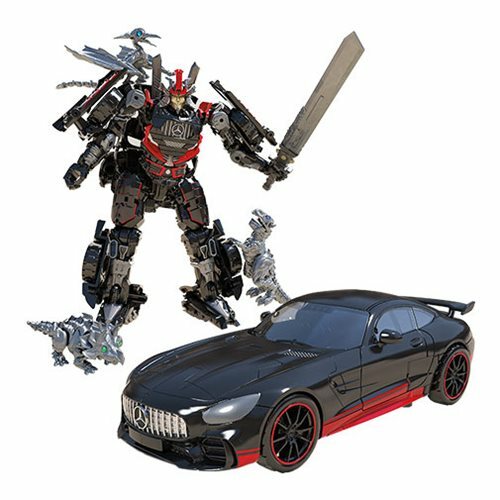 Exclusive Transformers Studio Series figure pack! Look for Dinobot 'Tops, Dinobot Pterry, and Dinobot Sharp-T! Inspired by the "Junkyard Meditation" scene in Transformers: The Last Knight. Features vivid movie-inspired deco and comes with 5 sword accessories! 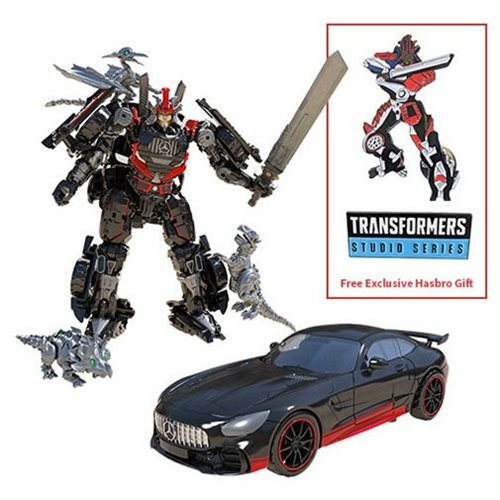 The amazing Transformers Studio Series Deluxe Drift with Baby Dinobots Sharp-T, Pterry, and Tops - Exclusive features vivid movie-inspired deco and comes with 5 detailed sword accessories, including one modeled after the sword Drift balances on in the film before the Baby Dinobots cause him to fall! 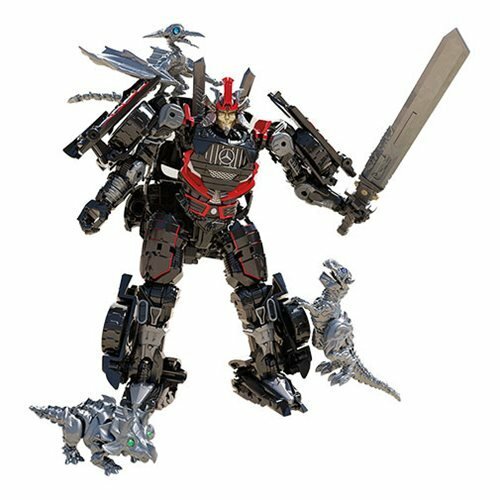 The Drift figure is highly articulated for super-poseability, and the pack also includes 3 articulated Baby Dinobot figures - Dinobot ‘Tops, Dinobot Pterry, and Dinobot Sharp-T - who look like a mini-Slug, a mini-Strafe, and a mini-Grimlock. 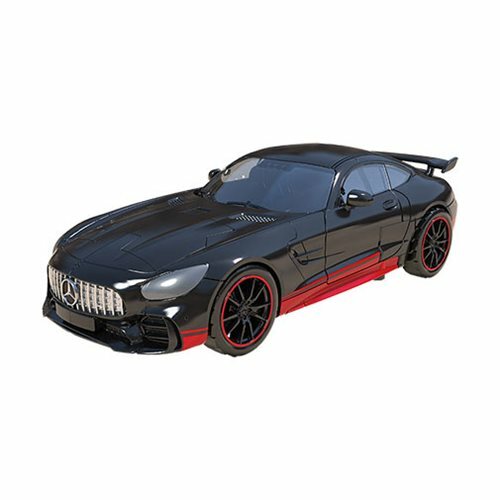 This toy features classic conversion between robot and black-and-red Mercedes-Benz AMG GTR modes in 12 steps. Perfect for fans looking for a more advanced converting figure, it's best for adults and kids 8 and up. The figure scale reflects the characters' size in the world of Transformers: The Last Knight, and the premium figures and packaging are inspired by the iconic "Junkyard Meditation" scene where Autobot Drift loses his inner calm and his balance when the mischievous Baby Dinobots break his concentration. The removable backdrop displays Autobot Drift and Baby Dinobots figures in that scene. Fans can use this backdrop and pose their figures in their own style!